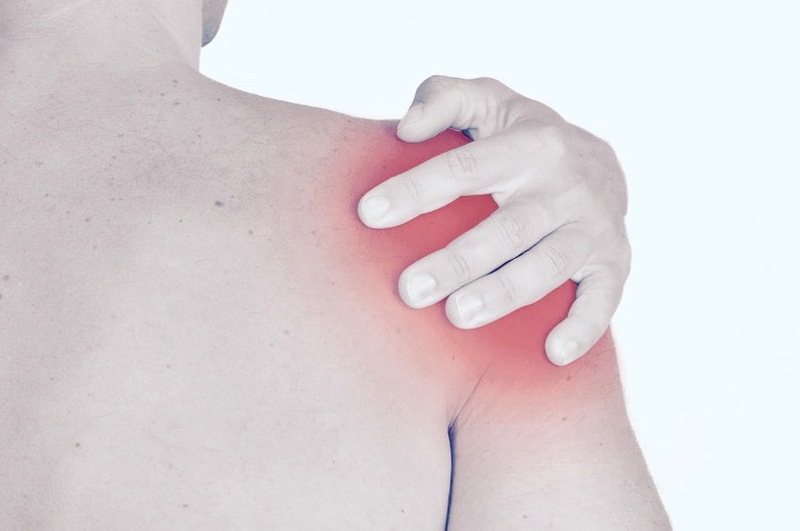 Shoulder Arthritis Symptoms - Jeffrey H. Berg, M.D. For many of you who have advanced shoulder arthritis, your shoulder arthritis symptoms can often be disabling. Fortunately, not all who have arthritis have such severe arthritis. For those with less symptomatic arthritis, your shoulder arthritis symptoms may be more tolerable. Like the symptoms of most forms of arthritis, shoulder arthritis symptoms may include pain, grinding, stiffness and deep swelling. Not all of the above symptoms must exist. In more advanced cases they often do. Many of these symptoms are seen in other shoulder problems like a frozen shoulder and rotator cuff tears. So, an evaluation by a shoulder expert can be helpful to distinguish between the possible diagnoses. The pain from your arthritis can be mild to severe. It may be in the front, back or diffusely about the shoulder. There is almost always pain with shoulder motion. There may be pain while resting your shoulder as well. Sleeping is often painful too. As the process progresses, there may be an associated grinding sensation. Sometimes this grinding can be audible. The grinding is due to the movement of the joint surfaces that have areas of exposed bone and/or an uneven cartilage cover. Stiffness typically progresses slowly, usually over years. Some people, however, fail to notice the slow progression until a critical reduction in range of motion is achieved. In advanced stages, the stiffness can be quite severe. This may leave very limited, painful motion in all directions. Usually if swelling is present, you won’t be able to see it. It will be deep in the shoulder joint. But by distending your joint and therefore increasing the pressure in it, the swelling can be a significant source of your pain. In most cases, shoulder arthritis symptoms develop slowly over time. However, in some cases, the symptoms may develop rapidly after some trauma. In these cases, the symptoms may settle back to the way they were before the trauma. They may also only partially recover or they may remain at the new elevated level…Only time will tell. So if you are experiencing some…or all…of the symptoms described above, it would be a good idea to see a shoulder specialist. You may have arthritis of the shoulder…and we can help. More about the treatment in upcoming posts.